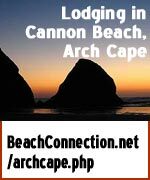 (Oregon Coast) – Oregon authorities have issued a strong warning to keep humans and pets away from all sea lions found on any Oregon coast beach, as they could become infected by a disease that’s hitting the population in this area. The disease is called leptospirosis, and it’s infecting California sea lions in enormous numbers, something made worse the by fact there’s a huge boost in the population of California sea lions in this area. It often kills them and their bodies wash up onshore. 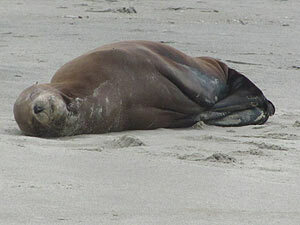 The disease can spread to humans and dogs who come in contact with an infected sea lion. Jim Rice, an Oregon State University scientist who is leader of the Marine Mammal Stranding Network, issued the warning over the weekend. He said there have been multiple calls each day about sick or dead sea lions. Many have tested positive for leptospirosis. The carcasses of these animals are being sent to the Veterinary Diagnostic Laboratory in OSU’s College of Veterinary Medicine. 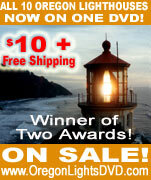 It doesn’t take direct or extremely close contact to catch the disease from an infected sea lion. 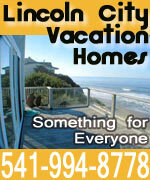 The disease can be transmitted by feces or urine left in the sand by one of the creatures. The illness is quite dangerous to humans and can cause death. When a mammal like a sea lion or seal washes up onshore – dead or alive – the Marine Mammal Stranding Network deals with it, posting signs to keep away until state park officials can remove it. Network officials say to keep well away from the creature, and make sure your dog is on a leash and cannot go near it. 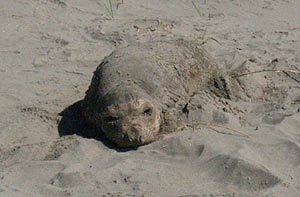 Persons seeing dead or sick marine mammals on Oregon beaches are encouraged to call the Oregon State Police at 1-800-452-7888. Jane Holbrook, a volunteer for the network, had no exact number yet as to how many California sea lion bodies were recovered, and how many of those were infected. Necropsies are still being performed on every creature brought in. Holbrook said she’s encountered more sea lions that have died than not, however. “I’ve had several over the last two weeks that have expired,” Holbrook said. So far, the public has been quite willing to keep their distance and obey signage, especially with all the press these incidents have received. Holbrook wanted to reiterate that even though there are special circumstances right now, it’s still illegal to go near them or disturb them when they’re resting on the beach – whatever mammal is found. “The law requires that you stay away from all these animals,” Holbrook said. Keith Chandler, manager of Seaside Aquarium, is the leader of the north coast squad from the Marine Mammal Stranding Network. 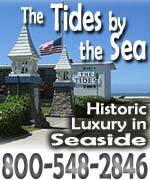 He said that so far there haven’t been any incidences of California sea lions with the illness on the north coast. 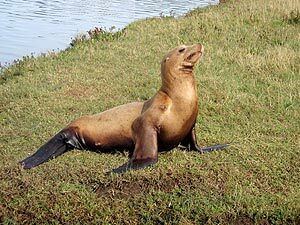 There was one incident of a sea lion on the north coast that was suspicious, but a subsequent necropsy revealed no leptospirosis. Chandler said he has definitely seen a big spike in California sea lions on the north Oregon coast. Chandler said there’s more of them coming up from California because they’re looking for food. Those great numbers haven’t hit on the north coast yet, but he expects it to do so at any time. 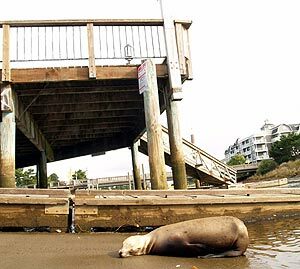 Tourist attractions like Sea Lion Caves or Oregon Coast Aquarium will not pose a risk to humans, as the sea lions are not touchable by the public. At the aquarium, it is a closed population and the disease can't reach there. Seaside Aquarium does not have any sea lions. 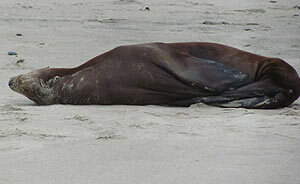 Also, the disease has so far only affected one species of sea lion. 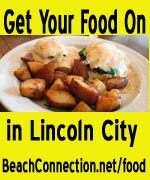 Below is a video of a recent sea lion stranding in Lincoln City, which eventually died.